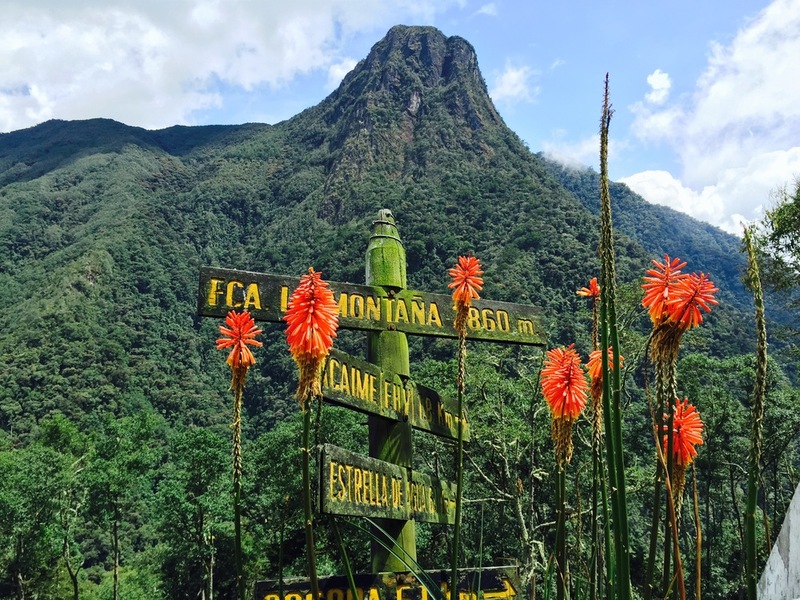 Join us in a timeless destination, where eco-adventure, a rich Colombian coffee and cowboy culture, and the magic of the Andean mountains will captivate your heart. One of few truly authentic Colombian highland settings, Salento will whisk you away. Enjoy the privacy of our luxurious mountainside villa with stunning views of rolling green mountains and a full time private chef with locally inspired gourmet offerings. All of your meals, wellness, eco-adventure, and cultural adventures will be customized based on the preferences of our intimate group. 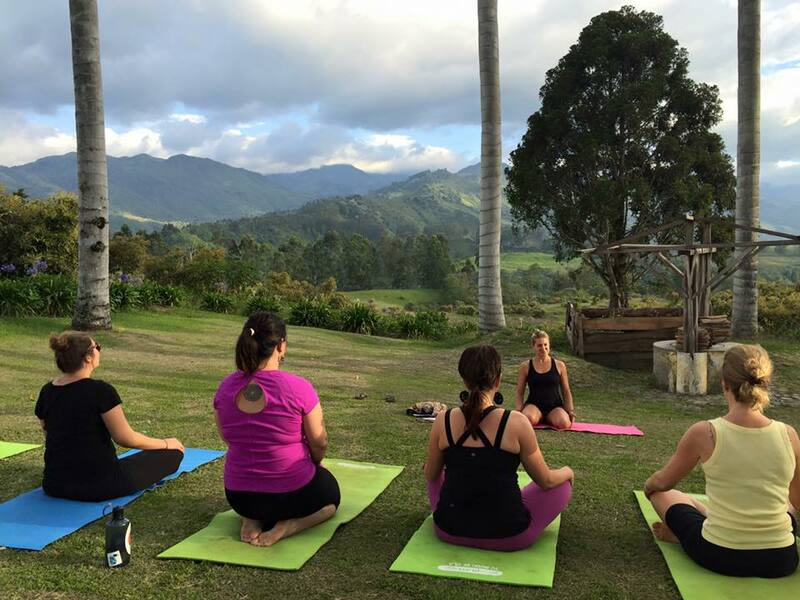 Wake up and revitalize your body, mind and soul with private yoga instruction followed by customized adventures including epic horse rides across the Andean Cordillera, mountain biking, hiking through the world renowned Cocora National Park home of 200 ft. Wax Palm, and soaking in hidden hot springs, only reachable by a 30 mile old jeep trail. Ryan Jaqua. A life filled with diversity, trials, joy, and victory. Ryan seeks to bring to his students the most realized parts of his own yoga practice and life experience. With his roots in Anusara yoga he has sought out dynamic teachings and practitioners. A true student of yoga as a way of life, Ryan understands the common path tread by students dealing with the constant waves of life. He believes the practice of yoga can greatly calm the fluctuation of the mind and allows our most authentic self to surface. If its not down past the end of the road..its not what we are looking for. Our hillside villa is nestled a short walk along an old dirt road from the perfect Colombian mountain town of Salento. With stunning views of surrounding hillsides, you will find privacy, spaciousness, and the simple luxury of this well appointed home. The villa will come with daily maid service, a private chef, outdoor and indoor space for yoga, a cozy fire place to warm up to at night (in the rare occasion of a cold evening) and all the other creature comforts you would find in a furnished home. We are what we eat is not just a popular slogan for Life Force Project. We understand the importance of eating balanced, nutritious, delicious and locally inspired food. Our food is one of the primary ways in which we revitalize our mind, body and soul and enjoy all the exciting activities taking place throughout out the day. Set amid gorgeous green mountains 24km northeast of Armenia, this small town survives on coffee production, trout farming and tourists, who are drawn by its quaint streets, typical paisa architecture and its proximity to the spectacular Valle de Cocora. Founded in 1850, and it is one of the oldest towns in Quindío. The main drag is Calle Real (Carrera 6), which is full of artesanías (local craft stalls) and restaurants. At the end of the street are stairs leading up to Alto de la Cruz, a hill topped with a cross. From here you'll see the verdant Valle de Cocora and the mountains that surround it. If the skies are clear (usually only early in the morning), you can spot the snowcapped tops of the volcanoes on the horizon. Valle de Cocora: In a country full of beautiful landscapes, Cocora is one of the most striking. It stretches east of Salento into the lower reaches of the Los Nevados ountains and national park, with a broad green valley framed by sharp peaks. Everywhere you'll see palma de cera (wax palm), the largest palm in the world (up to 60m tall). It's Colombia's national tree. Set amid the misty green hills, they are breathtaking to behold. Horseback riding in Salento, Colombia is something all travelers should experience during their visit to our beautiful country. The small town of Salento looks very much like an old western, cowboy town and it’s not uncommon to see people still riding horses to come into town. There are several guides throughout the town that offer horseback rides of various difficulties and lengths. At some point during a walk around town there’s a very high chance you will be asked if you would like to ride a horse. At La Serrana we typically work with two guides that we’ve found to be the best value and experience. We recommend inquiring at our front desk if you are interested in horseback riding in Salento. Looking for a real treat…If you have more of an interest in organic coffee and food cultivation, then the Coffee Reserve Sacha Mama is a very special place where you can enjoy organic coffee while learning about organic coffee production and the Slow Food Movement (www.slowfood.com). The reserve is run by Pedro Grojales, a guru when it comes to environmental issues, both locally in Salento and worldwide. He lives entirely self-sufficiently at Sacha Mama with his family, and has been working to restore and replenish the jungle there since 2000. Salento is a fantastic location for mountain biking in Colombia. The beautiful, little town is surrounded by lush, green mountains with scenic trails for riding a bike. Mountain biking tours will take you through hills, valleys, rivers, and tremendous vistas along the way. They includes the bike, guide, technical support, water, food (depending on the tour) and entry to any coffee fincas you may visit. It is also possible during the full moon to take a nighttime ride by moonlight. Or you can cycle into the Valle de Cocora. Life Force Project can help you with booking information for the best travel and flight itineraries, hotels, restaurants, and activities during your stay in Colombia. Our pick up will be at the Armenia Al Eden aripot (AXM). Direct flights to AXM can be found on Spirit Airlines as well as non-direct on United, Avianca and others from most any major city in the US. Life Force Project can help you with planning and details. For all the details and individual questions please email us at info@lifeforceproject.com. We will be sure to respond within 48 hours and supply all the information and guidance you need to make your journey exactly what you’re dreaming up. A private shuttle service to our villa in Salento will be included in your retreat package. The shuttle will leave at 4:00 PM on Feb 6 and Feb 13th. All the meet up details will be provided upon receipt of the initial trip deposit.